Rest assured you are in capable hands when you are a patient of Dr. Arvind Krishna. He has been treating patients with diabetes, thyroid disease, and other endocrine problems in Canton, Ohio, and the surrounding areas since 1995. Dr. Krishna understands how the health care provider you choose to treat your endocrine disorder can make all the difference in your quality of life. That’s why he takes pride in treating his patients as partners: he takes the time to listen, educate, and develop personalized treatment plans to manage their condition as effectively as possible. It’s no wonder patients are so pleased with his expert medical care. Arvind Y. Krishna, MD earned his medical degree in New Delhi, India, in 1984 at one of the top medical colleges and also completed an internship and residency in internal medicine there. In the United States, Dr. Krishna completed an additional internship and residency in internal medicine at Lincoln Hospital, in affiliation with New York Medical College in New York City. Following his residency, Dr. Krishna was chosen for fellowship training in endocrinology, diabetes, and metabolism at the prestigious Emory University School of Medicine in Atlanta, Georgia. During his fellowship, he trained at the tertiary care Emory University Hospital, Grady Memorial Hospital, Atlanta’s VA Medical Center, and the endocrine and diabetes clinics of Egleston Children’s Hospital. Dr. Krishna is board certified in endocrinology, diabetes, and metabolism by the American Board of Internal Medicine. He has also earned the distinction of being selected as a fellow of the American College of Physicians (FACP) and American College of Endocrinology (FACE). After completing his fellowship, Dr. Krishna moved to Canton, Ohio, to join the staff of Diabetes and Endocrinology Associates of Stark County, Inc. in 1995. Since then, he has become well-known and highly respected within the Canton medical community. Not only is he an exceptional doctor, but also an outstanding teacher. Dr. Krishna has served on the medical faculty at Northeast Ohio Medical University (NEOMED) since 1996, and he has received several awards for excellence in teaching medical students and resident physicians from the Canton Medical Education Foundation. Dr. Krishna has been an active member of various hospital committees at Aultman Hospital and Mercy Medical Center in Canton, Ohio, over the last two decades. As an expert in diabetes, metabolism, and endocrinology, Dr. Krishna has given many lectures and presentations to both his peers and the public in various cities throughout Ohio. He has been a featured guest speaker on the Health Matters radio program on 1480 WHBC in Canton and has been interviewed for articles published in Canton and Alliance newspapers. He has published numerous articles and studies in national and international peer-reviewed medical journals, as well as given presentations at state and national endocrine meetings. Dr. Krishna is also active in clinical research and is the principal investigator for major national and multinational, multicenter clinical trials. Research study sponsors include the National Institutes of Health (NIH), Harvard University hospitals, Cleveland Clinic, Case Western Reserve University hospitals, major pharmaceutical companies, and other reputed institutions. In 2017, Dr. Krishna was elected to the board of directors of the Ohio River Region (ORR) chapter of the American Association of Clinical Endocrinologists (AACE), which represents Ohio, Pennsylvania, Kentucky, and Indiana. Certified by the American Association of Clinical Endocrinologists (AACE), Dr. Krishna has performed well over 1,700 ultrasound-guided biopsies of thyroid nodules. Dr.Krishna is among a select group of endocrinologists who are trained and credentialed to perform radioactive iodine treatment for hyperthyroidism and thyroid cancer. Dr. Krishna was a certified clinical densitometrist (CCD®), a professional designation awarded by the International Society of Clinical Densitometry for those qualified in bone density testing for osteoporosis. 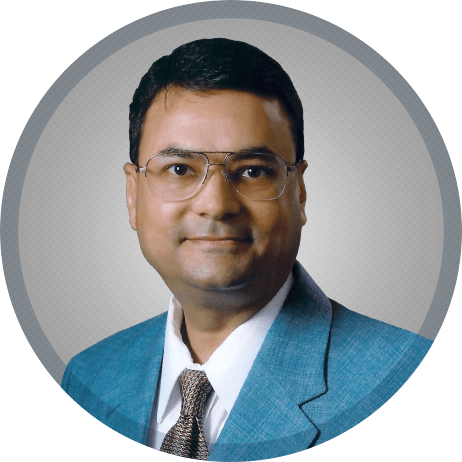 Dr. Krishna has completed several trainings and certifications related to clinical trials. These include training and approval certifications from Federalwide Assurance program of the Office for Human Research Protections, US Department of Health & Human Services; Good Clinical Practice (GCP) certification from Brookwood International Academy (UK); and training modules from the National Institutes of Health (NIH). Dr. Krishna completed "Leading in Health Systems Integrating Effort, Improving Outcomes," a course offered by Harvard University in 2018. To schedule an appointment with Dr. Krishna, call Diabetes and Endocrinology Associates of Stark County, Inc. at (330) 493-0013 or use our convenient appointment request form.